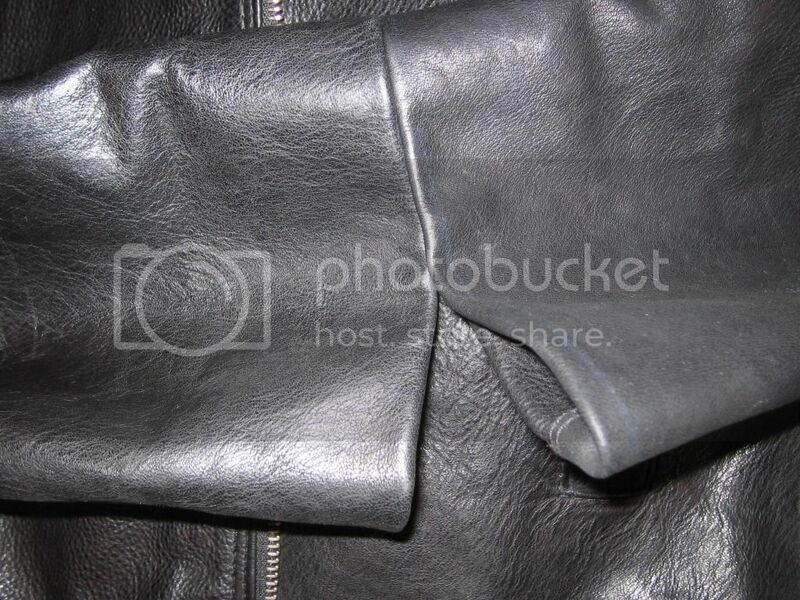 I steamed a leather jacket...woops? Discussion in 'Outerwear' started by knowledgeandstyle, Jul 24, 2013. I have a thick cowhide jacket and a deerskin jacket (both pebble grained) that I steamed to remove creases, but now I'm reading that I shouldn't have done it. The deer hide seems completely fine, although it has some microscopic white particles that look like dandruff (maybe the finishing flaking off?). The cowhide is fine on the shoulder where I steamed it, but the sleeve is now a little stiffer. 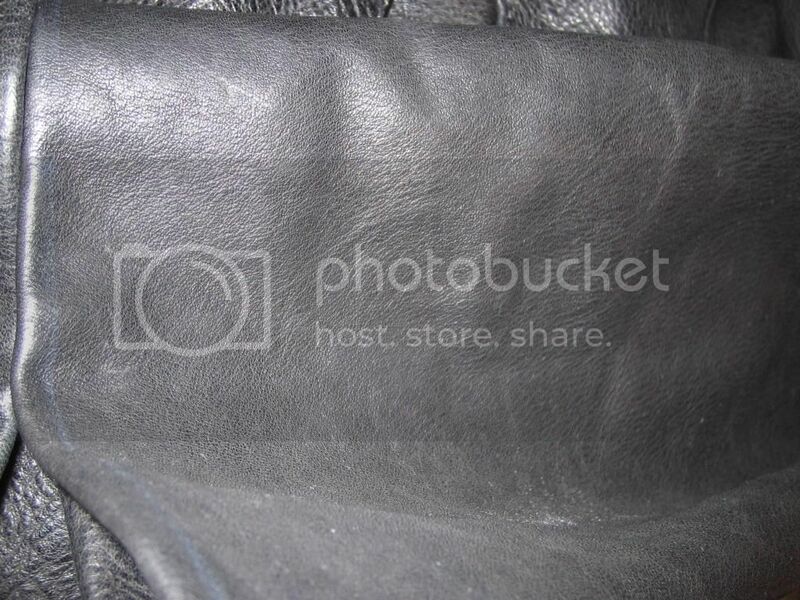 None of these issues really bothers me...and the stiffer leather makes it less likely to crease again (ok...nevermind it looks pretty dry and creased), but should I be worried about cracking or anything else down the line...and if so what should I do to deal with this? Why would you steam a jacket..?? Do you mean it was wrinkled from storage? 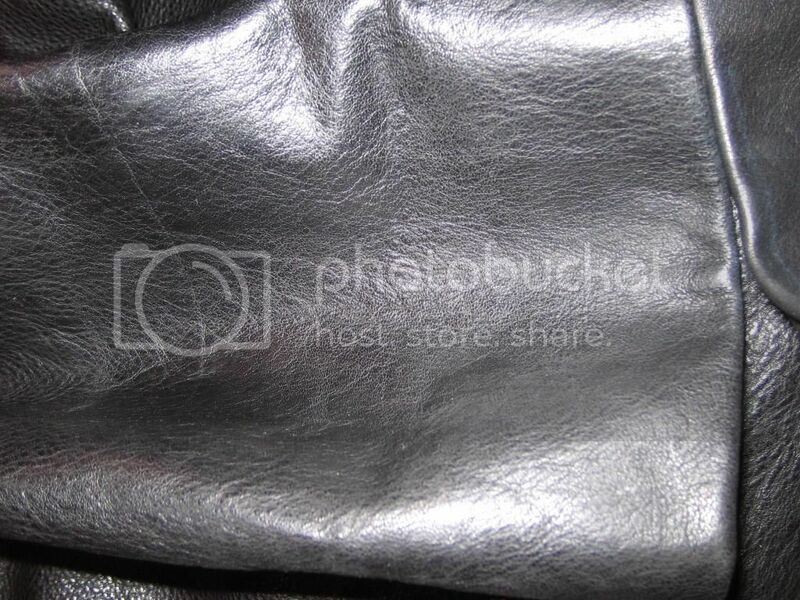 Natural creases from wearing just add normal character to a leather jacket. Steam not good for leather. Yeah creases from packing....and all the advice from google. Well the deed has been done. Nothing seems too bad yet, but what should I be worried about? I think you'd be okay conditioning it if you are worried. All seem to be highly recommended. Thanks for posting this, I've wondered the same thing. It should be fine. With the cowhide (as long as its a smooth finish) a little conditioner as mentioned should soften up any stiffness. If it's a sueded finish I wouldn't put a conditioner on it. 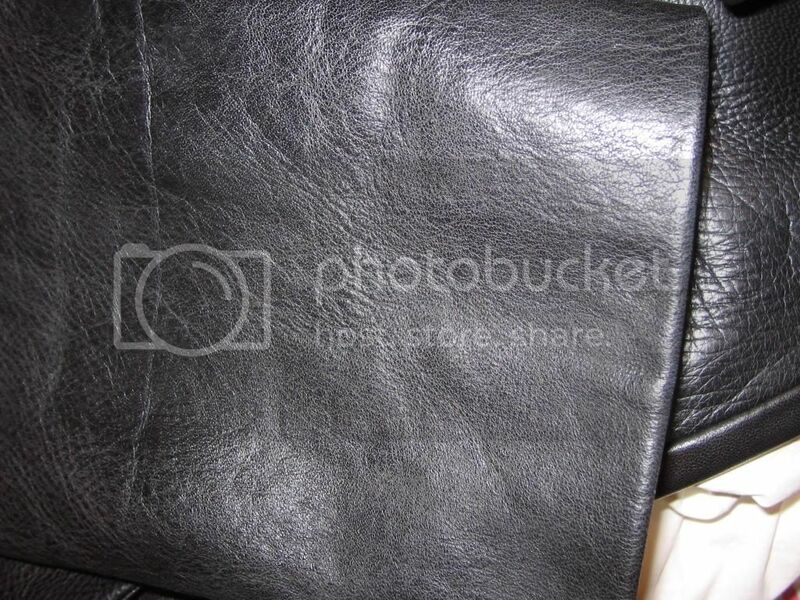 Leather tailors often use a steamers to remove creases. But I think you need to take care in how long you use it on the leather. I'm sure it will be fine. Some Pecards. You may have burnt the leather in spots, which ain't good. If I were you, I'd condition the snot out of it in the areas of stiffness; gently working the dressing in with your fingertips. Let It dry, then repeat till it begins to feel softer. its like rehydrating your skin with aloe after having fallen asleep drunk poolside You'll know if it's toast if it cracks. Once you damage the leather, no treatment will bring it back. You might be able to mitigate it, but that's it. When I get wrinkles, I spray it lightly with water and put in the dryer for a few mins. Works fine, and no damage ever. Good luck. The deer hide seems completely fine, although it has some microscopic white particles that look like dandruff (maybe the finishing flaking off?). The cowhide is fine on the shoulder where I steamed it, but the sleeve is now a little stiffer. None of these issues really bothers me...and the stiffer leather makes it less likely to crease again, but should I be worried about cracking or anything else down the line...and if so what should I do to deal with this? You could post pictures so we can see the what it looks like. Do you put it in with heat or tumble dry? Winterland: There's nothing to see really. Looks exactly the same...just the sleeve is slightly stiffer. Do you put it in with heat or tumble dry?Winterland: There's nothing to see really. Looks exactly the same...just the sleeve is slightly stiffer. Low heat. Doesn't hurt it and works great - at least with quality hides. Never done it on elk/deer/buffalo. Those I'd be more careful with. I've ironed a few leather jackets using an iron on low heat and with steam on high and got the results I wanted or at least didn't hurt the jacket. I used a pillow case between the iron and the jacket. Although I haven't had any problems there is probably always going to be some kind leather which is going to react badly. Well, what I see there looks fine. Hard with pics, but I'd say you're OK with how they look from here. Don't worry about it. Put some Pecard on the area where it is stiff, and it will be fine.